The Ladies of Leadership student organization will host a networking brunch at Zora’s House from 11 a.m. to 2 p.m. Saturday. Ladies of Leadership is a mentoring organization that allows upperclassmen to connect with incoming freshmen and transfer students who are women of color. The organization strives to ensure that incoming women of color have a community at Ohio State and to guarantee a legacy, Tomara Dorsey, president of LOL, said. Students who plan on attending are given the opportunity to establish connections with professionals that fall under the umbrella term, “women of color,” who work in various areas including: the legal field, public policy, medical related fields and more, Dorsey, a third-year in sociology and public management, leadership and policy, said. “If you’re looking for a mentor who is a professional woman of color, you can get that here,” Dorsey said. The event’s location, Zora’s House, was dedicated to Zora Neale Hurston and is a nonprofit devoted to women of color professional and their needs, Dorsey said. Dorsey said that if women are looking for a job or summer internship, either at Ohio State or around Columbus, this event will help give them assistance in doing so. 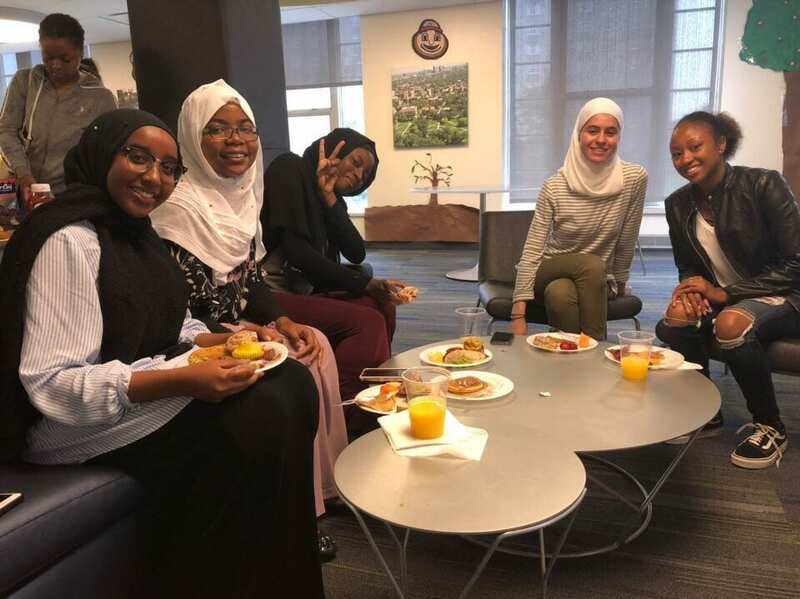 These types of networking events hold great importance in terms of the academic development of women of color because it allows students to interact with professionals who resemble them, Fofana said. “The purpose of this event is to show student women of color that there are women of color who have succeeded in every field, some they might not have thought of,” Fofana said. The organization as a whole seeks to support women of color by various means and hopes to further this support by calling on the university to do the same, Dorsey said. Ladies of Leadership was founded in a department within the Office of Diversity and Inclusion called Leadership Initiative of Women of Color, but the department itself has been inactive since its former director died in 2016, according to Dorsey. “As an organization, we have proudly been working at advocating for the reinstatement of that department, and we are proud to say all of our efforts this year are showing to be successful,” Dorsey said. Due to their efforts with events, such as the networking ones, next year’s president Fofana said the department will be reinstated in the fall, proving their efforts are not in vain.